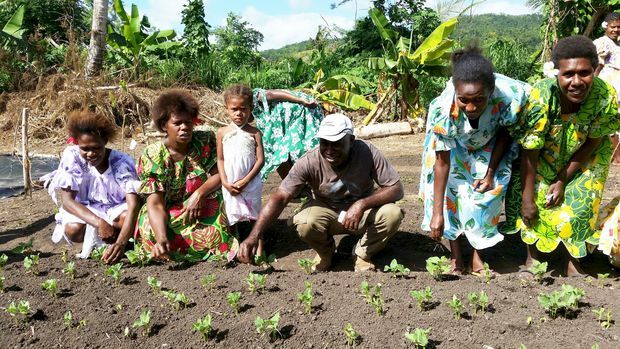 (Suva, Fiji) ─ The Pacific Islands Association of Non-Governmental organisations (PIANGO) and the Pacific Islands Farmers Organisation (PIFON) have collaborated to organise workshops during the upcoming Pacific Agriculture Week in Vanuatu. The workshops will be held at Owen Hall in Port Vila from 16-18 October, 2017. PIFON Coordinator Kyle Stice said that the three-day event will focus on key issues being faced by Pacific farmers, including further exploring a more practical approach to research and major challenges affecting productivity. With the increasing pressure from critical issues such as climate change, Non-Communicable Diseases (NCDs) and population increase, food production and food systems in the Pacific will likely be affected. The meeting will enable farmers and stakeholders across the region to further discuss their respective roles, including seeking solutions to production constraints which they are currently facing. The event will focus on various themes including “Pacific Women in Agriculture” which aims to inspire more female farmers and to explore more innovative ways of empowering women in the agricultural sector. This focus area aims to enhance women’s roles in the sector in terms of improving their access to research, funds and technology needed to help female farmers. Day two of the workshop will discuss the “The Role of Farmer Organisations in Climate Change Adaptation “and will link to the Sustainable Development Goals (SDGs) and Agenda 2030. Discussions will include strategies and initiatives to assist farmers to adapt to climate extremes and climate change. The final day of the event will include a field trip to Efate where participants will observe a specific agricultural project. Countries expected to be part of this event include Tonga, Cook Islands, Fiji, Solomon Islands, Papua New Guinea (PNG), Australia and Timor Leste. The three-day event is being funded by the Asian Farmers. Emele Duituturaga, PIANGO’s Executive Director said that PIANGO advocates and provides technical support on policy influencing for its member countries in the Pacific towards positive sustainable development.